One could shoot a scene at a deep depth of field and in post-production mask around and isolate the subject to blur the background with a Gaussian blur or similar tool. Once however camera and subject movement come into play, as well as changes in focus and zoom, this can become time-consuming and costly. Moreover, the characteristics of lenses and their bokeh are very hard to emulate with software and cinematographers will always want to retain control and shoot everything in-camera, which is one of the value propositions of our Cinefade system. 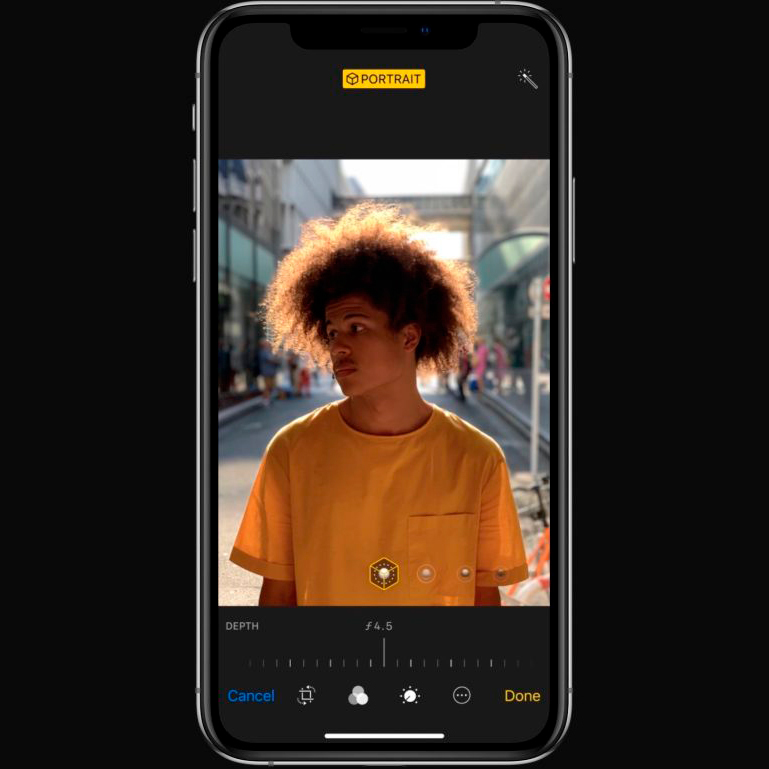 Consumer products, such as the Huawei P10 cellular phone and the iPhone Xs have a ‘depth effect’, ‘portrait mode’ or an ‘adjustable depth of field effect’ built-in, which uses dual cameras and software to blur images and adjust depth of field after taking a picture. It is not a big leap to imagine this feature will soon be available in video too. Light field technology, such as the Lytro camera offer an interesting alternative to traditional cinematography and it will be several years before the technology is affordable and used by filmmakers.